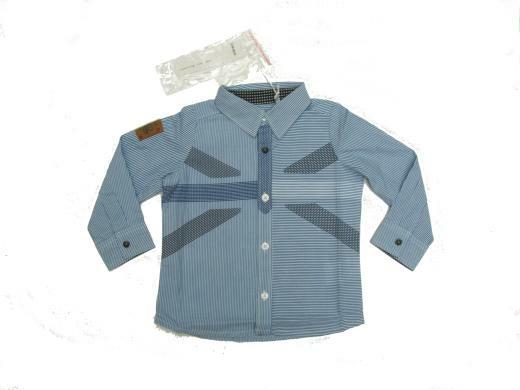 For a British look, adopt the long-sleeve blue-striped shirt. It has a faded Union Jack flag on the front. IKKS patch on the right sleeve. The IKKS Advantage: A British look with the Union Jack: so trendy!